Happy Wednesday! Just 3 more work days to go and I get a 3-day weekend! I know it seems like my winter break just ended, but really I cannot wait for this long weekend. Backtracking a little, Mondays are the worst, aren’t they? To make my past Monday a tiny bit brighter, I wore a top with a gold studded front. 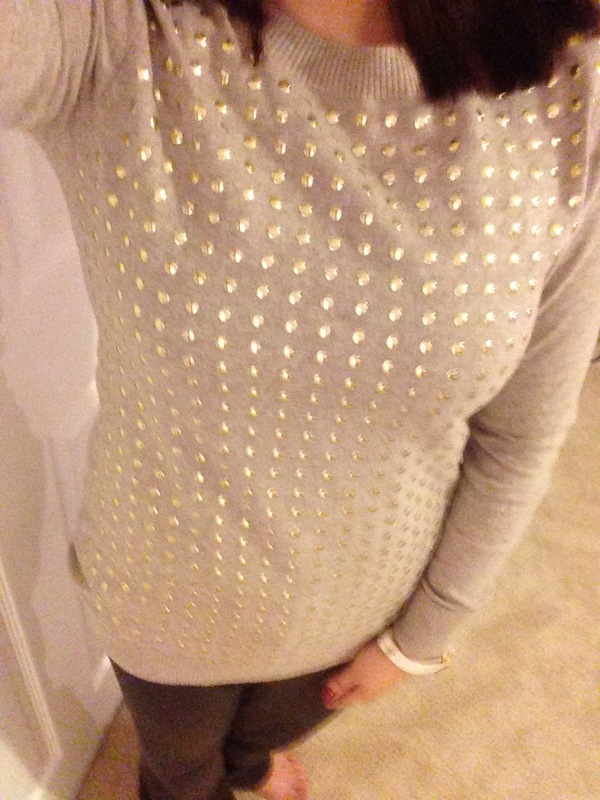 I love the gold studs on this light taupe, beige top. It is from over a year ago and I’m loving that the embellished top trend is still growing! This particular top adds a bit of edginess to an otherwise ordinary top and as I’ve said before, embellishments really dress up a plain top and make you look fancier/more dressed up without any added effort! It’s a trend that I’ve been loving and partaking in for a while now and I don’t see it slowing down any time soon. As a matter of fact, Shauna from All Things Recessionista just posted embellished tops as a trend she’d love to try! 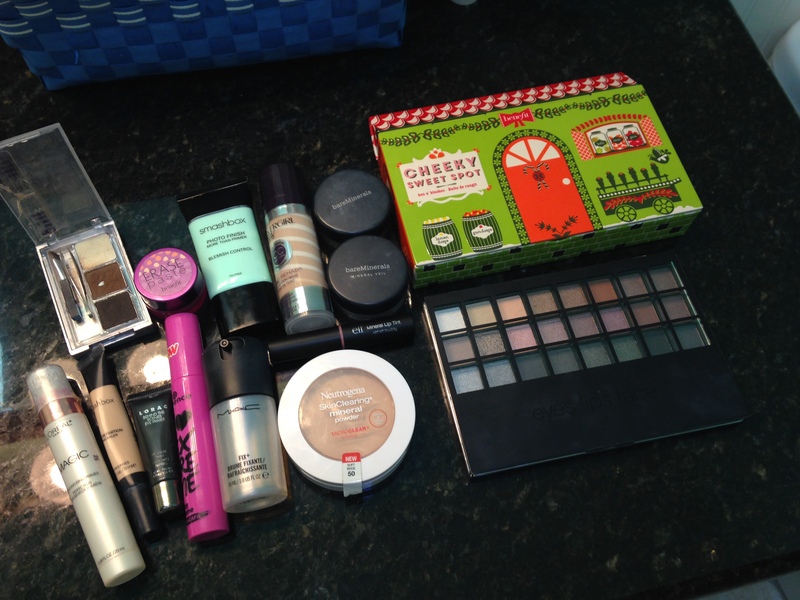 The mascara and foundation are new to me and I’m still making up my mind about them. I’ll eventually have full reviews on both in the coming weeks! I hope you all have had a good first half of the week so far! Thanks, Karen 🙂 It’s surprisingly warm too considering the material is not very thick! Thanks! And you’re so right about the gold!